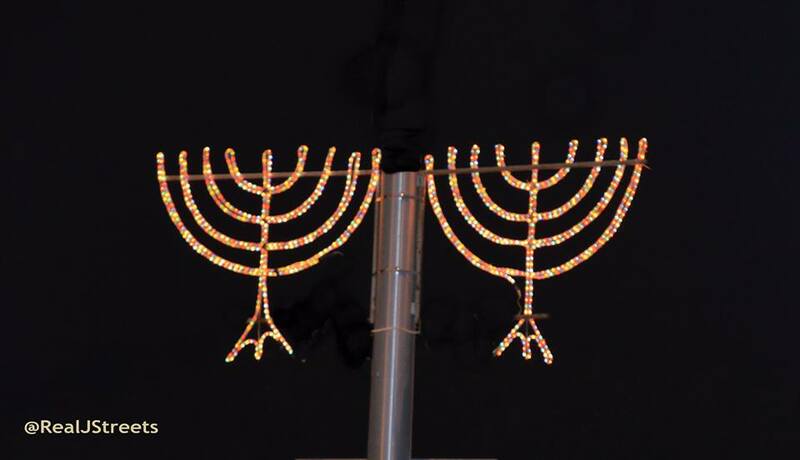 Should Hanukkah be a time of celebration and joy? What's it all about, actually? Is it really about the miracle of the oil? 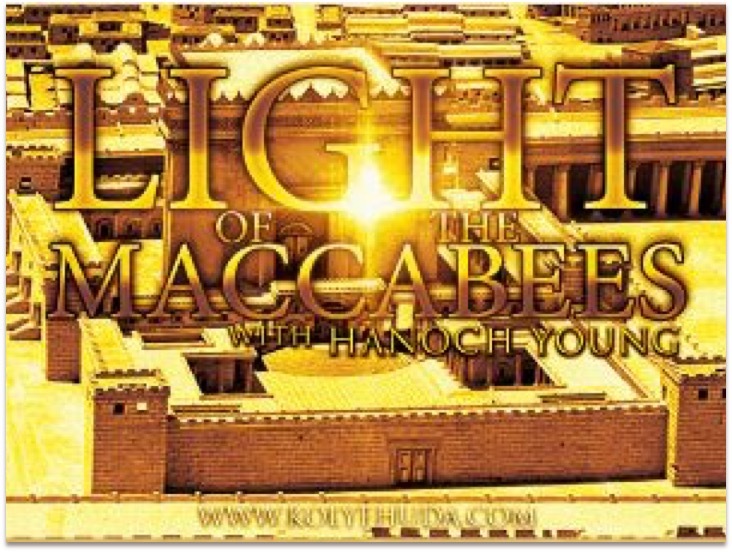 What really IS the 'Light of the Maccabees,' anyway? 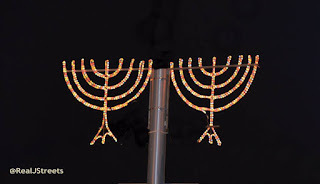 Growing up in America, the focus of Hanukkah was always celebrating the miracle of the consecrated oil (of which there was only a supply for 1 day, lasting for eight in the rededicated Temple which was cleansed after driving the Greeks from it), eating fried foods and getting presents. The lights are wonderful and even, mesmerizing - especially coming at such a cold and dark time of the year. 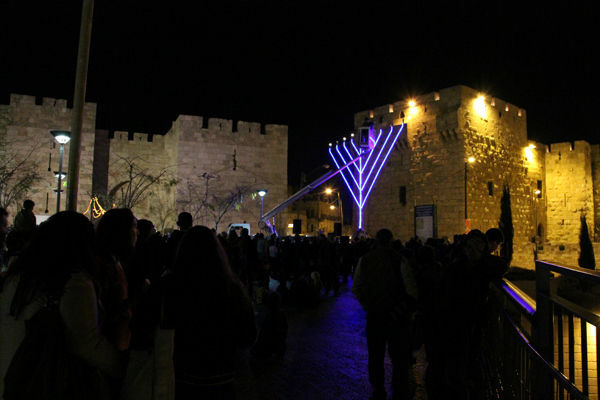 And particularly in Israel, where it's ALL about Hanukkah; there are no other holidays competing for your attention. But, Hanukkah is really ALL about the Maccabees and their heroic struggle to rid the Land of Israel of the Greeks, their Hellenist supporters and redeem the Temple. 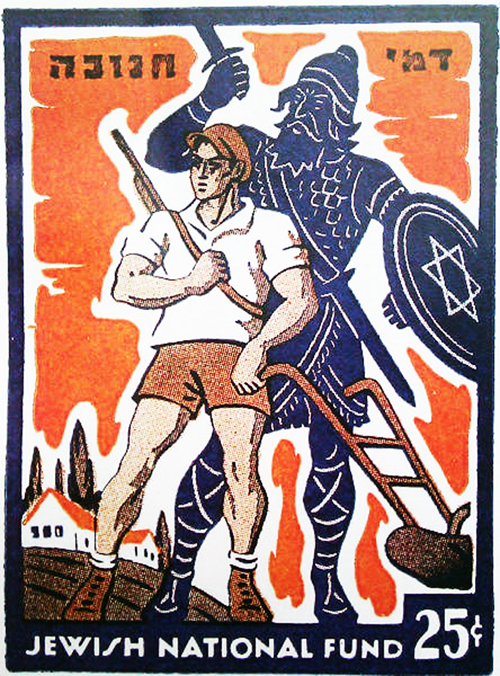 We read it in the Al Hanissim ('On the Miracles') section of the Amidah: "You championed their cause, judged their claim, and avenged their wrong. 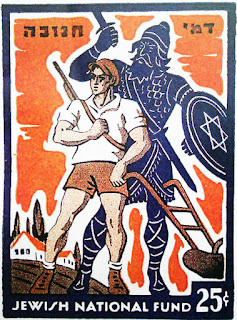 You delivered the strong into the hands of the weak, the many into the hands of of the few, the impure into the hands of the pure, the wicked into the hands of the righteous..." And due to their heroic sacrifices, not only were the Jewish people saved from extinction - but they have provided the inspiration to this very day for our modern day Maccabees - the men and women of the Israel Defense Forces (IDF). 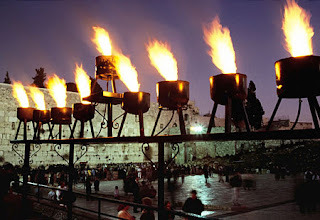 From the earliest days of the return, rebuilding and rebirth of the modern State of Israel, the connection has been obvious. The Maccabees, against all odds fought to preserve the Torah, the Temple and the Jewish people. 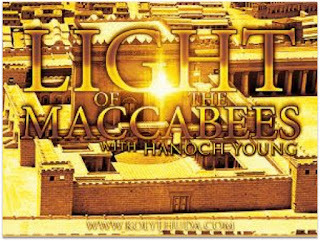 The 'Light of the Maccabees' is that spirit of dedication, commitment and self sacrifice for what is truly most important in our lives. Yeah, the donuts are great; standing in a supermarket and hearing the announcement that there will be a public candle lighting in the center of the store - make you feel like you are all involved in Hanukkah. 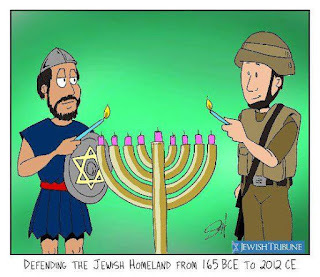 Particularly those like me, who have the special privilege of living in Modi'in - the home town of the Maccabees. 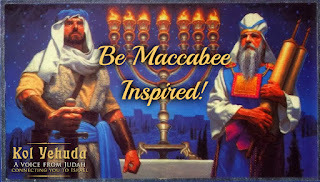 But, as the very name, Hanukkah - which means dedication (it's the same root of my name, Hanoch) reminds us - it is a time to (re)dedicate ourselves to the Land of Israel and ALL the people of Israel. 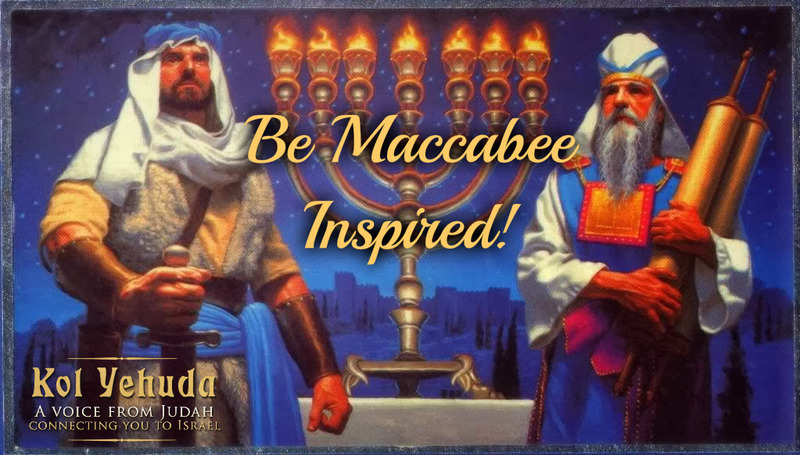 That is the 'Light' that the Maccabees have passed on to us is - and THAT should be our inspiration to rise to the occasion - to: Be Maccabee Inspired!